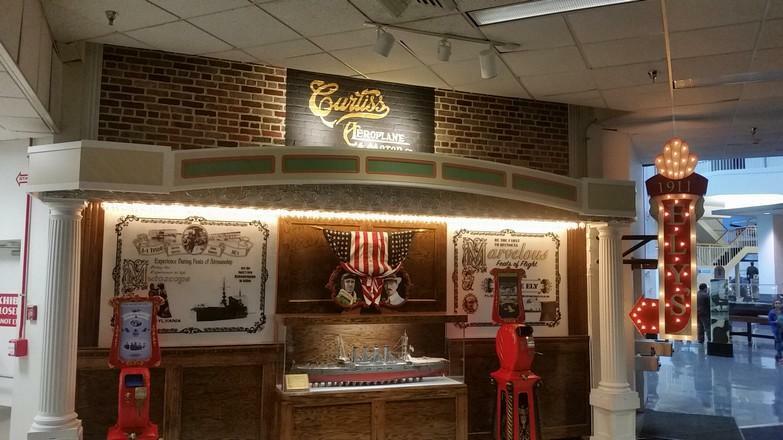 The Curtiss Mansion. 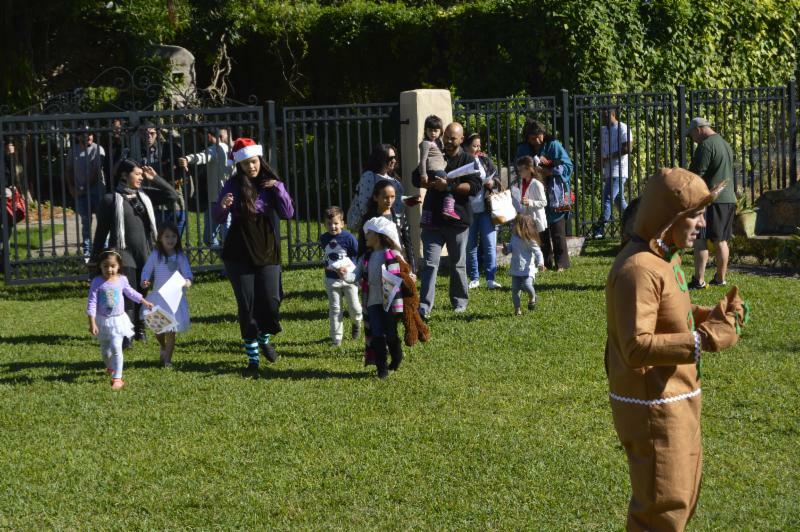 Our FIRST Holiday Tree Festival & Teddy Bear Tea were a huge success. 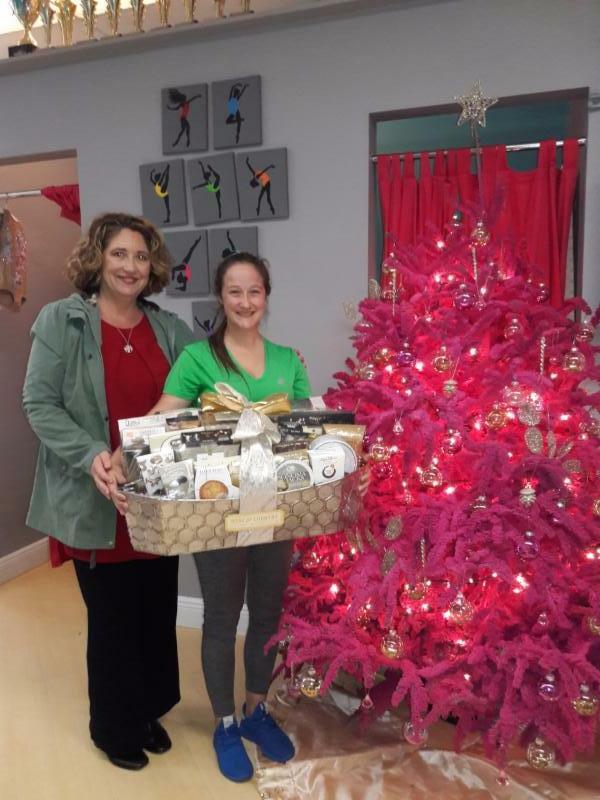 Local businesses & organizations supplied trees and were voted on by the visitors. The Teddy Bears were all donated to local charities. See More info & photos from the event below. Our Monthly speakers are about to begin. The first will be on Wednesday, Jan 31st at 7pm: Danielle Bender, local beekeeper. Many upcoming speeches will be garden related but am open to all types of talks or presentations; be it health & wellness, book signings, etc. Feel free to contact me if you have a suggestion. Am always looking for ideas. These are FREE to the public and we urge you to attend and enjoy. 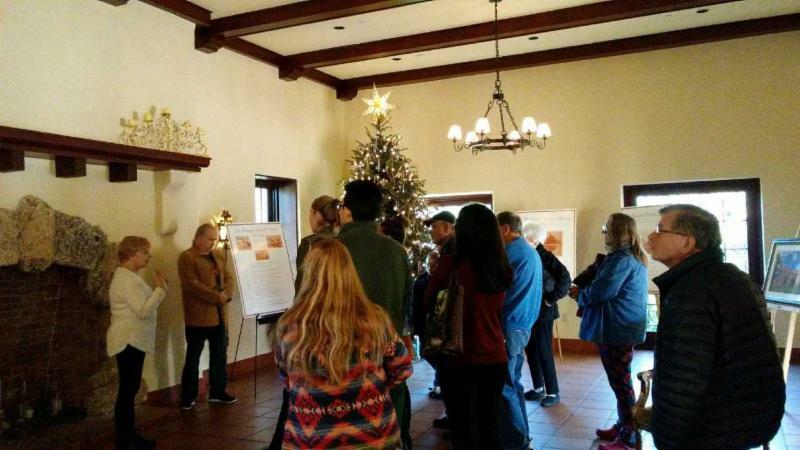 Am so excited to report that our Saturday historical tours have really started getting a following. 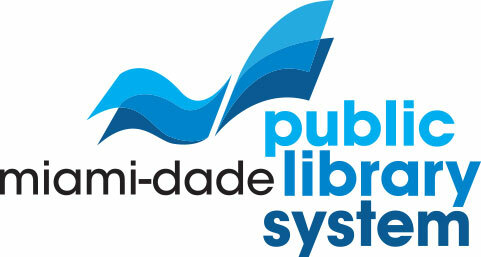 Between radio ads on local NPR affiliate, WLRN and the museum pass via The Miami-Dade Public Library System, we are gaining exposure within the South Florida Community at large. 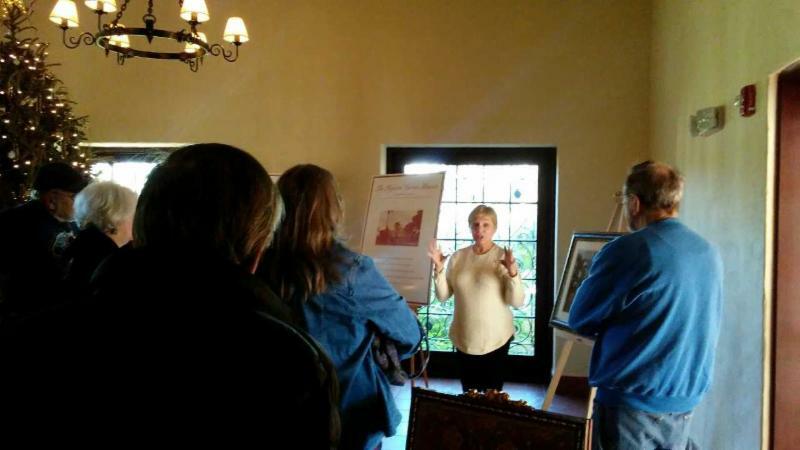 Thank you again to all the docents helping to keep these tours going. 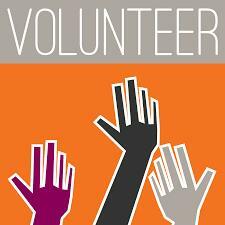 If you are interested in becoming a docent, desk or garden volunteer – please reach out. 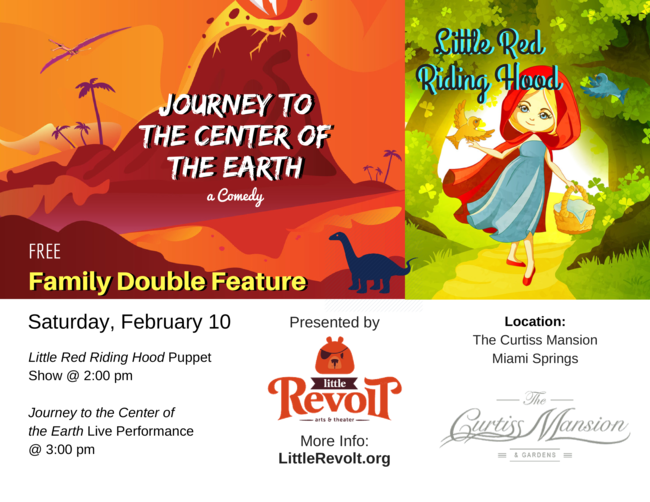 Little Revolt will be presenting a double feature here on Saturday, Feb 10th starting at 2pm. 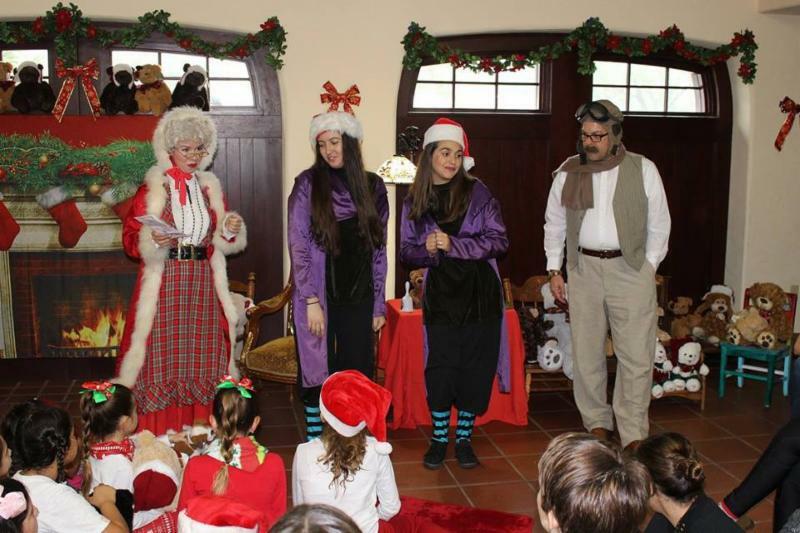 Journey to the Center of the Earth a Comedy and Little Red Riding Hood – puppet show . 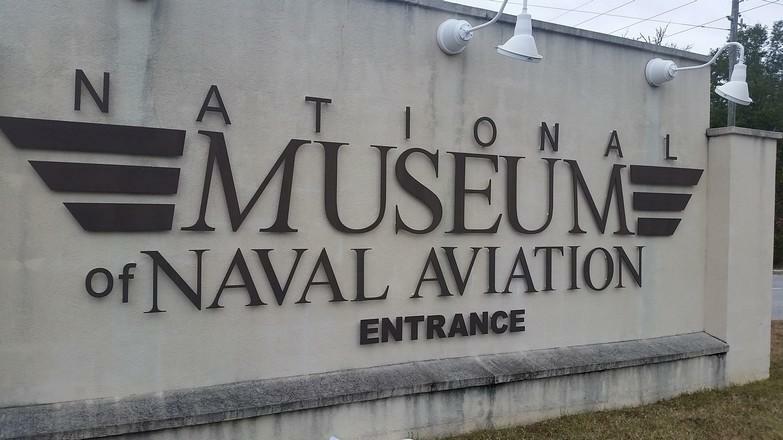 If you haven’t visited in awhile – please join us one Saturday morning for the historical tour at 10am. You won’t be disappointed. Congratulations to our Sales Team for more venue awards as well. They are keeping us moving along as we continue to grow and improve infrastructure on our beautiful restored Mansion. 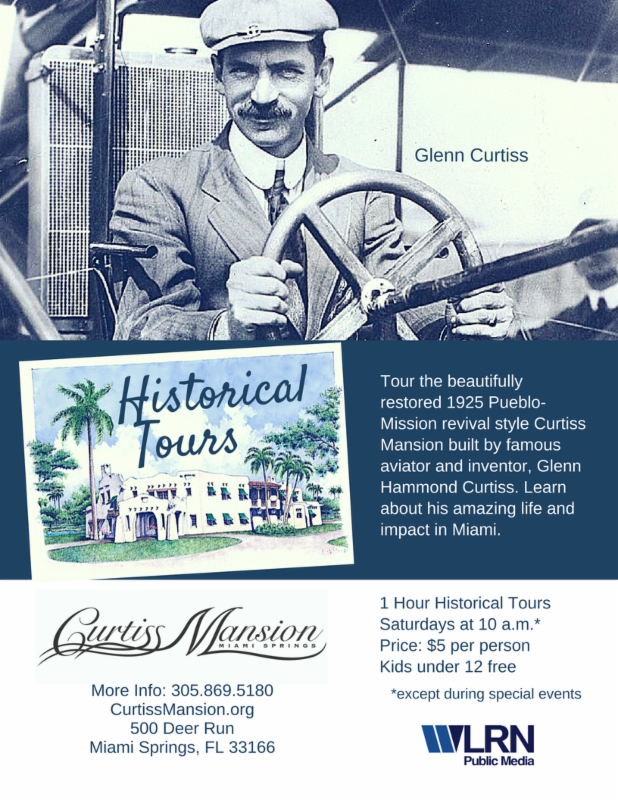 Glenn Curtiss’ many contributions to OUR city of Miami, Invention and Aviation. and see more. 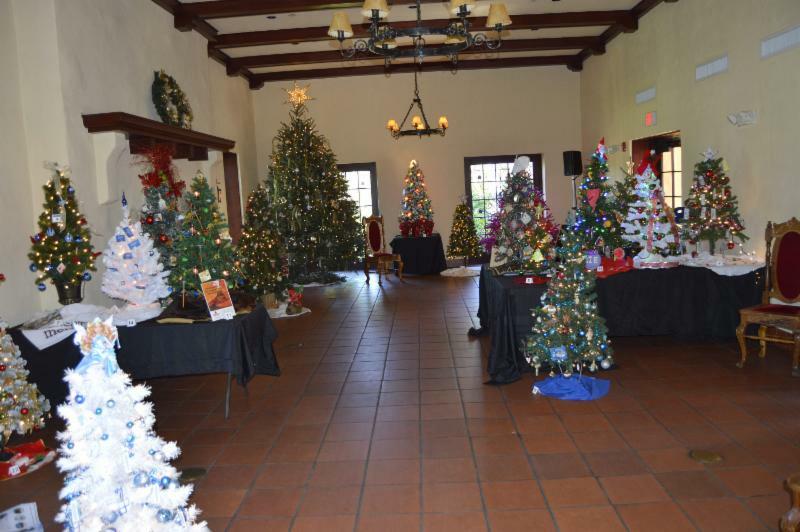 Events like this would not be possible without all of the tireless support from people like yourself, along with the Curtiss Mansion staff, volunteers, vendors, tree decorators, and many more. Thank you! Special thanks to Sam Chesser with Little Revolt, Kathy Doyle, Carol Foster, Pilot and Anchor Clubs. 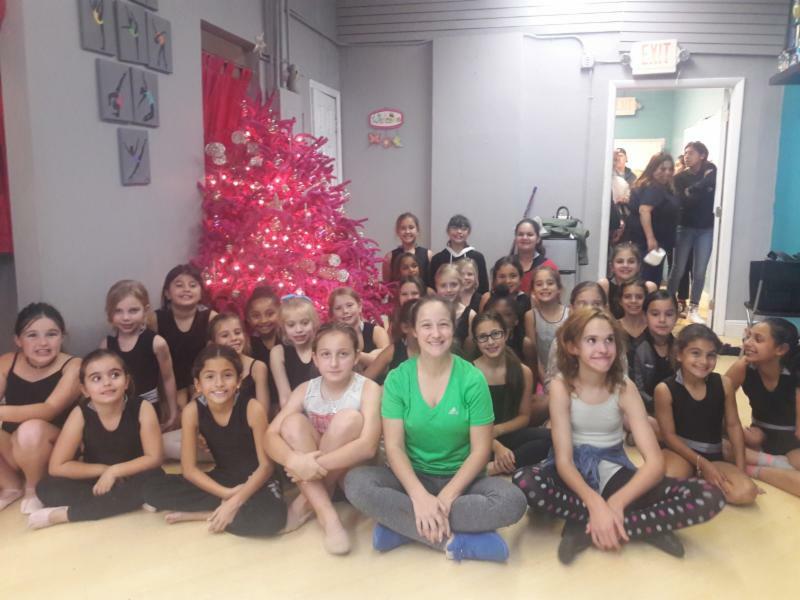 Congratulations to Holly Bain & Starlight Dance Studio for being the winners of our first annual Holiday Tree Festival! We would like to thank everyone who submitted a tree, they looked wonderful. We are very excited any time we get to highlight the amazing businesses and organizations in our community. We can’t wait to see what wonderful trees will be here next year. for all their help in the entire festival but primarily the Teddy Bear Tea including decor! They spearheaded the donations of all Teddy Bears. 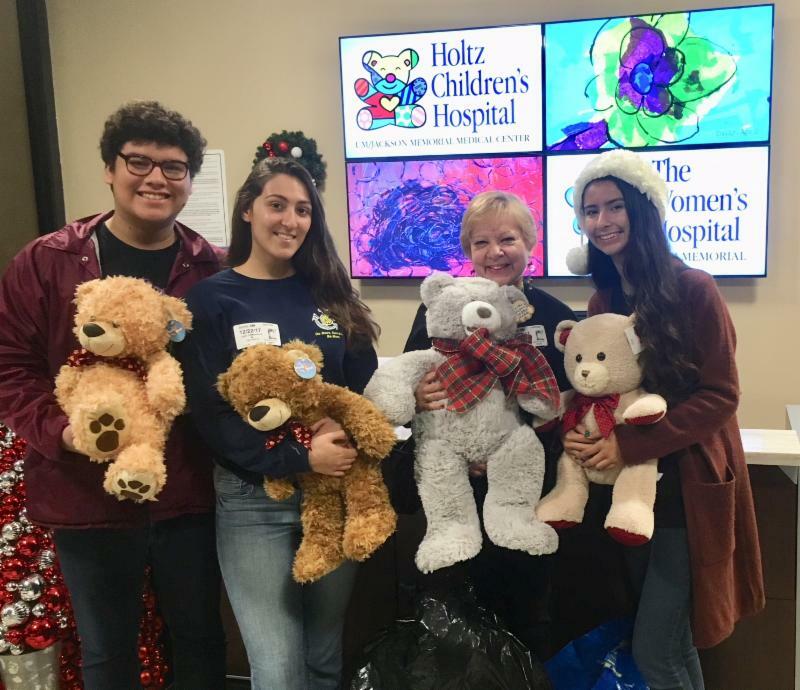 MUCH THANKS TO THOSE OF YOU THAT DONATED TEDDY BEARS! 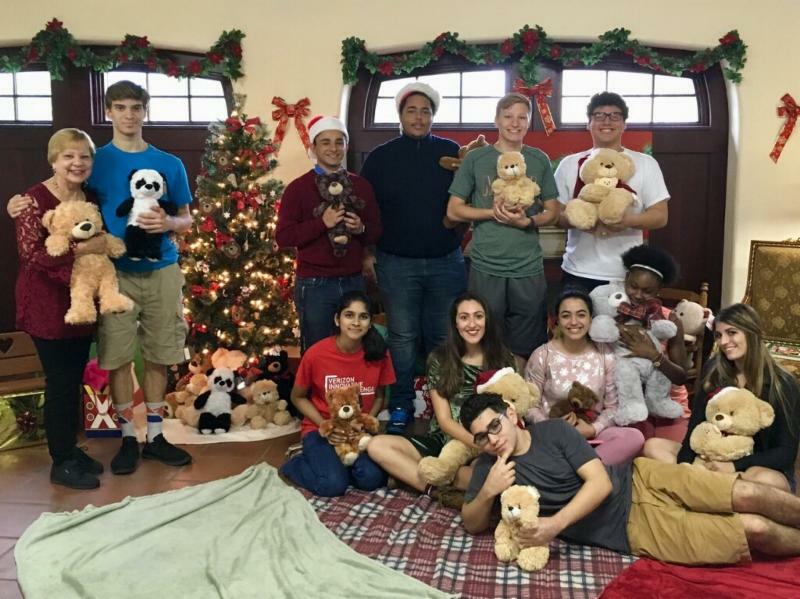 After the event, Anchor & Pilot visited local charities and donated all the bears. 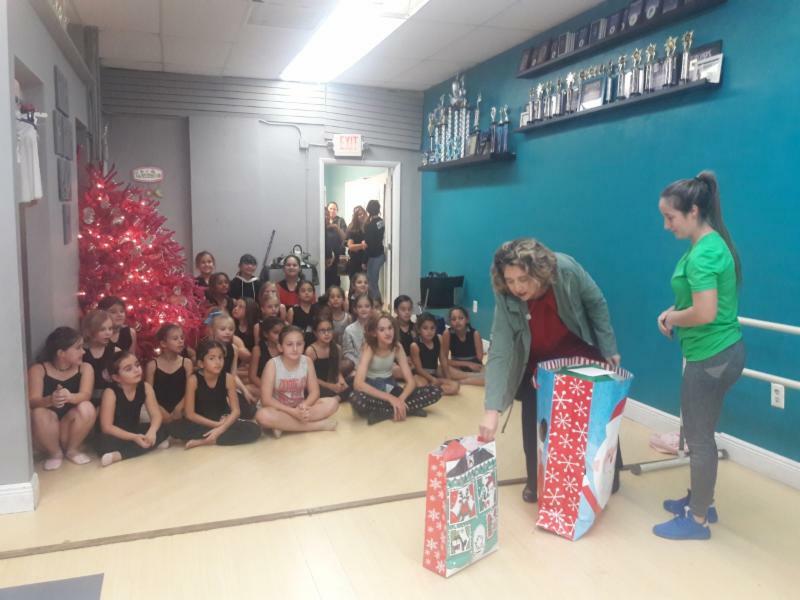 This helped to bring a lot of children happiness this holiday season, and we are very thankful for all the generous donations and their help with this event. 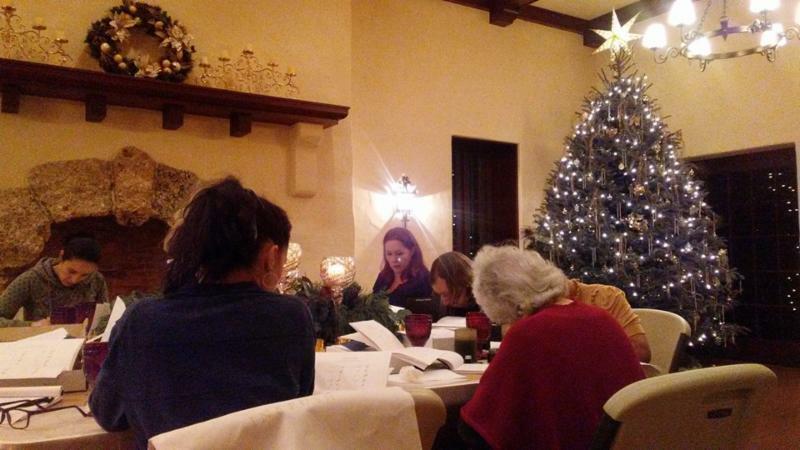 The Curtiss Mansion hosted an event on December 14th to teach people how to do calligraphy! The event was hosted by calligrapher Jo from Inkpush Co. People learned how to make basic strokes and the foundational skills for writing basic letter forms. The attendees are now able to create beautiful hand written art. It looked like a lot of fun! Thank you to everyone who helped and participated.
! This puts us in the top 5% of their wedding professionals! 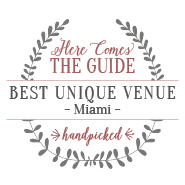 for mentioning the Curtiss Mansion, and all of our wonderful bridal parties for choosing us. Congratulations to our Sales Team led by Director of Special Events, Sherry Feijoo, along with Javier Diaz and Nyree Feijoo. Sam Chesserdid. We would like to thank Sam for going and bringing back some beautiful images of the museum and telling us about their great exhibits. 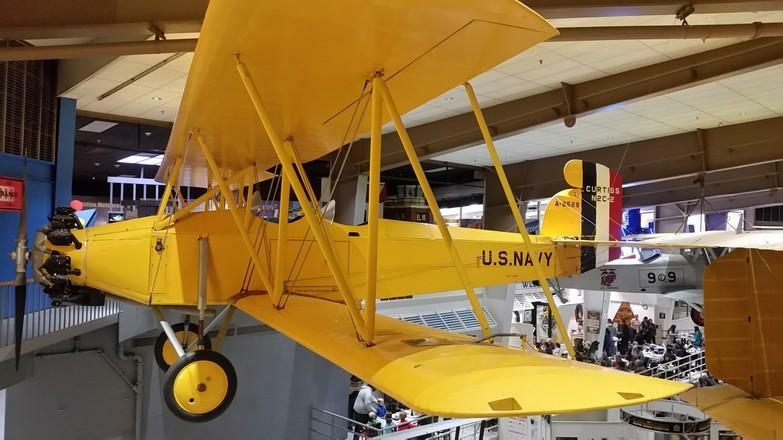 The Museum has multiple Curtiss airplanes on display including his Curtiss MF Flying Boat, a Curtiss Jenny and the spectacular NC-4, which was the first aircraft to be successfully flown across the Atlantic Ocean. 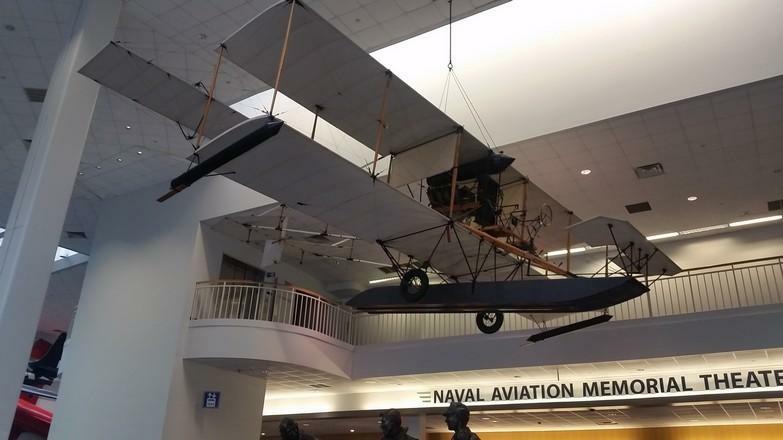 Not only that, but the museum has a lot more information on Glenn Curtiss and many other pilots. You can even take a guided tour. 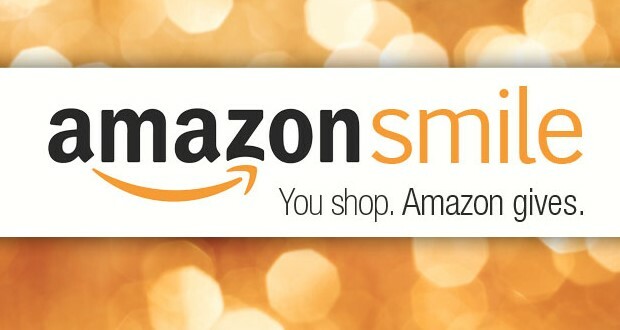 To visit there website clickHERE. B E E S !!! We will be resuming Monthly Public Speakers with the first on Wednesday, January 31st. Our guest speaker is a new Miami Springs Resident, Danielle Bender. Danielle is a Local Beekeeper and Arts Organizer. 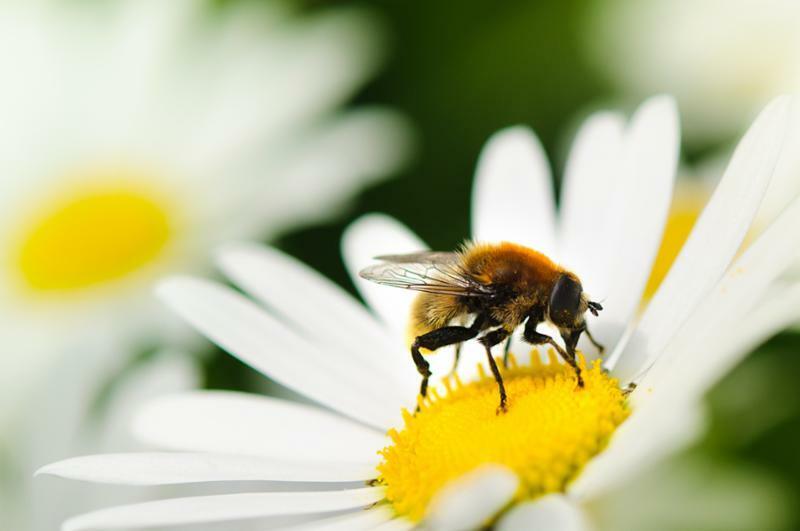 She will discuss the importance of community beekeeping and planting for pollinators. Lecture includes a honey tasting! Danielle Bender is an Arts Administrator and Beekeeper in Miami-Dade County. Currently based in Miami-Springs, Bender was awarded an Emerging Cities Champion Fellowship through the Knight Foundation and 8 80 Cities, and is a Miami Foundation 2017 Public Space Challenge winner for her project Public Hives. Public Hives promotes community pollinators by placing beehives in neighborhoods and parks in Miami. By creating greater access to educational opportunities, and presenting with the arts in mind, Public Hives inspires community members to learn alongside one another while observing and learning from other communities: bees! Join us at the beautiful historic Curtiss Mansion in Miami Springs for our FREE Family Double Feature (all ages welcome). A new twist on an all-time favorite. In this updated version, the Wolf and Red both learn some valuable lessons on the way to Grandma’s house. Exciting and educational. This performance is scheduled for indoors. Join Little Revolt actors as they present a hilarious new adaptation of the classic Jules Verne novel Journey to the Center of the Earth. A group of explorers travel to the middle of the Earth, where they encounter many adventures including prehistoric creatures (dinosaurs!) This performance is scheduled for outdoors. Chairs and blankets will be provided; guests are also welcome to bring their own. In the event of rain, we’ll move indoors. for more details about the shows! The February speaker will be Paul Bithorn, and he will be discussing “How to Create a Bird and Butterfly Friendly Habitat.” He will be speaking on Wednesday, February 21st. 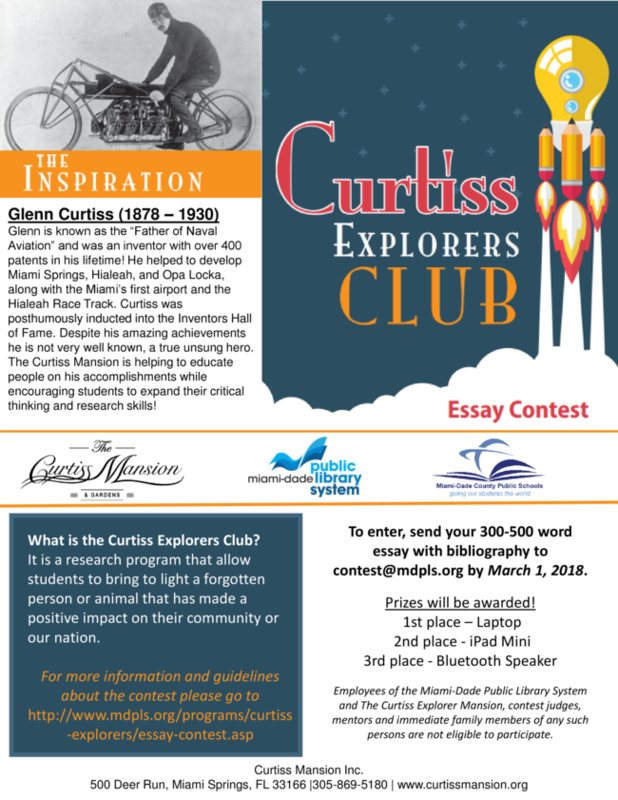 Paul is currently the Curtiss Mansion (CMI) Vice President of the Board, and he is a past board member of the Tropical Audubon Society and past President of the Miami Springs Garden Club. 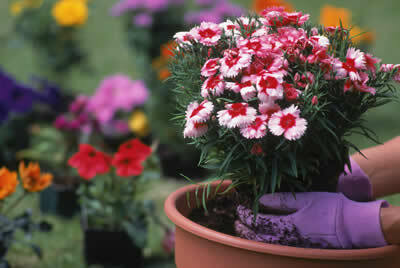 Paul also served as Mayor of his hometown, the Village of Virginia Gardens, for nine years and encouraged his residents to xeriscape by planting native species of plants and shrubs to attract birds and butterflies. He has also contributed to several bird-finding guides. His documentation of parrot species in Miami was featured in the June/July 2008 issue of the National Wildlife Federation magazine and the November 1st, 2008 issue of Birders World. to go to the passes. We hope to see you soon. 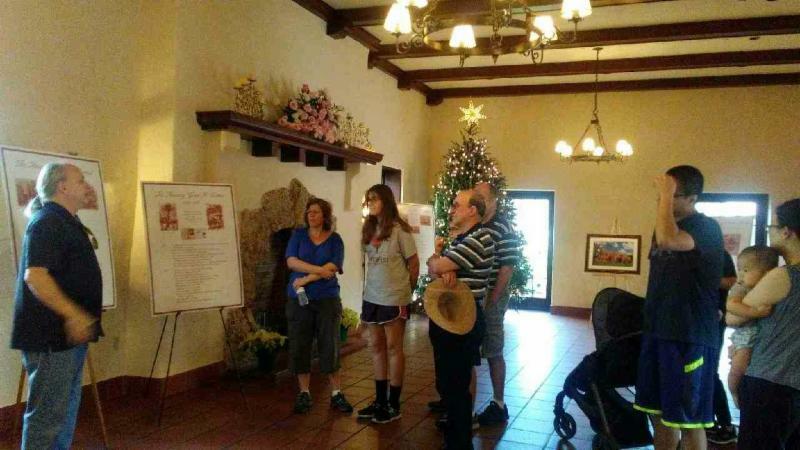 Sam Chesser, Kathy Doyle, Buzz Fleishman, and Jorge Cantero, along with Heather Robison who has been working the front desk on Saturday. Thank you everyone for all your hard work.